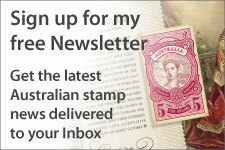 The ACCC approved Australia Post's proposal to increase domestic postal rates on 28 May, with new rates taking effect on 28 June 2010. An overview of the increases is given below. New 5c and 60c stamps were released on 21 June, followed by the rest of the values on 28 June. 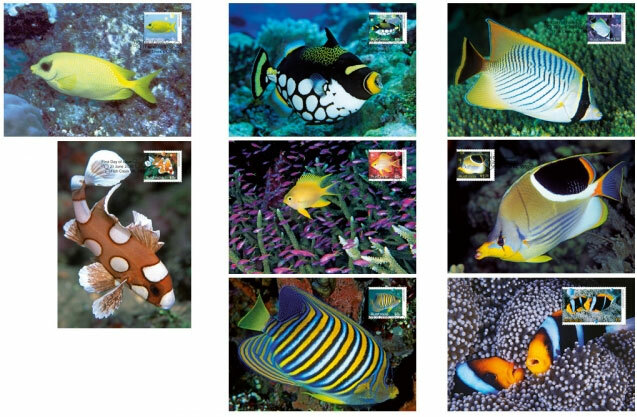 The designs feature reef fish. 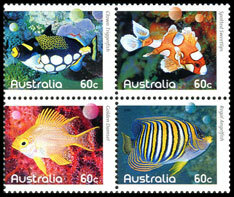 The stamps show fish species found in the tropical and sub-tropical waters off the coasts of Queensland and Western Australia. 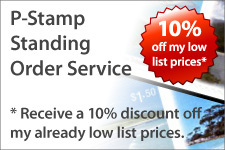 All sheet stamps were printed in a single pane of 50 stamps (5 x 10). To store the $3.00 pane post offices will have to fold the $3.00 sheet in half. As with past definitives coils of 100 and 200 stamps were released. Unusually, only Pemara printed the coils. Not only is the die-cutting of these stamps different, so is the phosphor tagging. 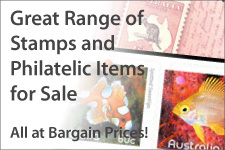 The biggest surprise with the booklet stamps is the inclusion of a self-adhesive booklet of 20 5c stamps - the lowest ever face value for an Australian self-adhesive stamp! The perforations for the these stamps differ from the coil stamps, as does the phosphor tagging. This issue featured three booklets - 5c x 20, 60c x 10 and 60c x 20. Booklets were distributed to post offices in chequebooks of 20 booklets. These are not listed on this website. 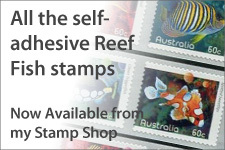 As with all new Australian issues each sheet stamp exists on a maximum card. * Available from mail order, with $5 handling fee.